2. 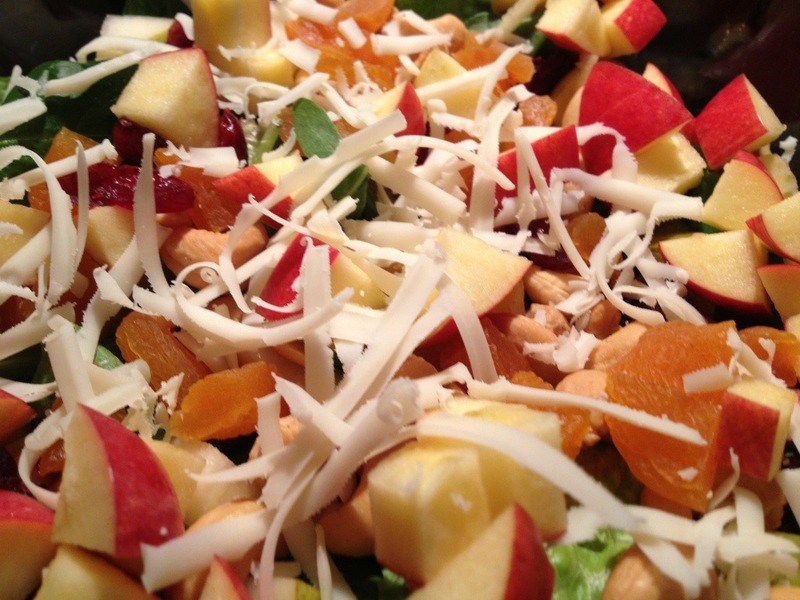 In a large serving bowl combine the romaine lettuce, shredded Swiss cheese, cashews, dried cranberries, chopped apricots, cubed apple and cubed pear. 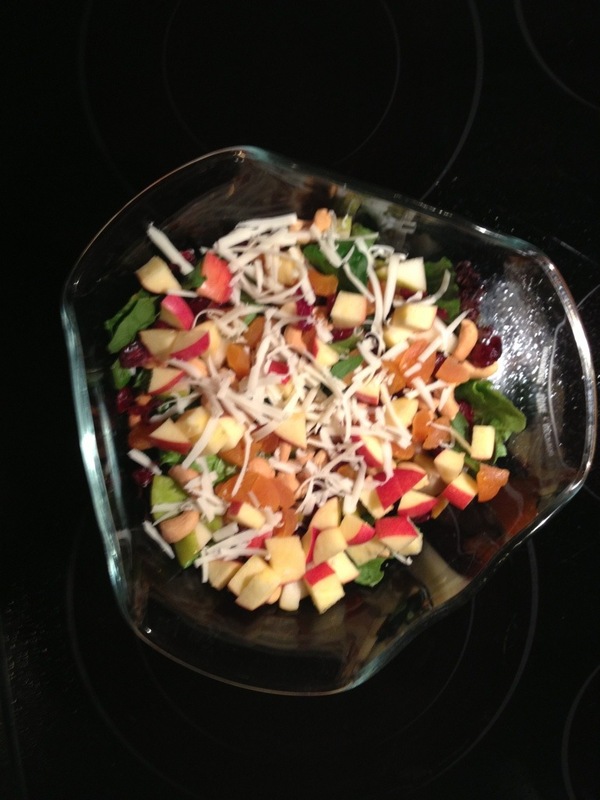 Toss to mix then pour dressing over salad just before serving and toss to coat.